The Chicago Police Department is improperly withholding documents detailing how police shot and killed a 16-year old, according to an opinion released by the Illinois Attorney General’s office. NBC 5's Carol Marin reports. The Chicago Police Department is improperly withholding documents detailing how police shot and killed a 16-year old, according to an opinion released by the Illinois Attorney General’s office. Despite the ruling, the city still will not release investigative files detailing how officers shot and killed a teenager named Warren Robinson. In a 12-page decision, the Attorney General’s office ruled the Chicago Police Department violated the Freedom of Information Act and improperly denied some public records sought by NBC 5 Investigates. The decision is based on an appeal by NBC 5 after the city denied the records detailing what happened on the evening of July 5th 2014. Warren Robinson, 16, was shot 16 times as he hid under a car in the 8700 block of South Sangamon. According to the Medical Examiner's report, eleven shots struck him in the back. Police were searching for a man, armed with a gun, wearing a hoodie with red lettering. Officers spotted Robinson and began pursuit. As he was under the car, police said Robinson pointed a gun at them and officers opened fire. In a 2016 interview, attorney Michael Oppenheimer, who represented Robinson’s family, denied Robinson had a gun and said the weapon police recovered had no fingerprints. In a non-binding ruling, the Attorney General stated the city could withhold records pertaining to a minor - even after the minor dies - but records involving the conduct of police officers are public records and should be released. Matt Topic, an attorney who deals with public records issues - and who has represented NBC 5 in the past - agreed. 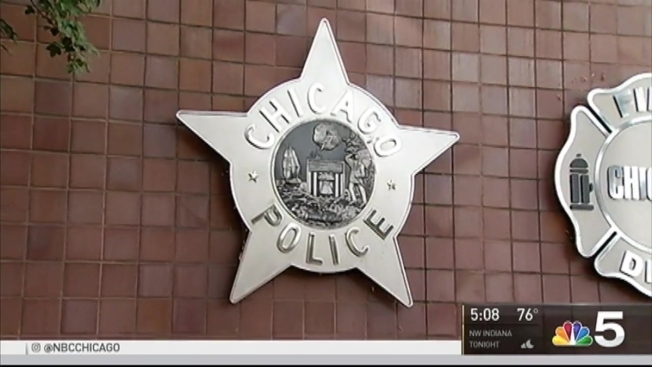 “I think what we see time and time again CPD tries to withhold information that would shed light on whether there was a bad shooting or misconduct by its officers,” Topic said. Lawyers for the Police Department rejected the Attorney General’s decision, stating records “must be withheld to comport with the Juvenile Court Act” which protects the release of information on minors. And said that includes investigative files on police conduct involving someone under the age of 18. But state Senator Kwame Raoul (D-Chicago), who authored part of the Juvenile Court Act, said denying police records was never the goal. No one from the city would comment on camera. But in an ironic twist, the Attorney General's office noted in its opinion that almost immediately after the shooting, then-Superintendent Garry McCarthy publicly disclosed the arrest record of a minor - Warren Robinson. In September, the city and the Robinson family settled a civil suit for $100,000.